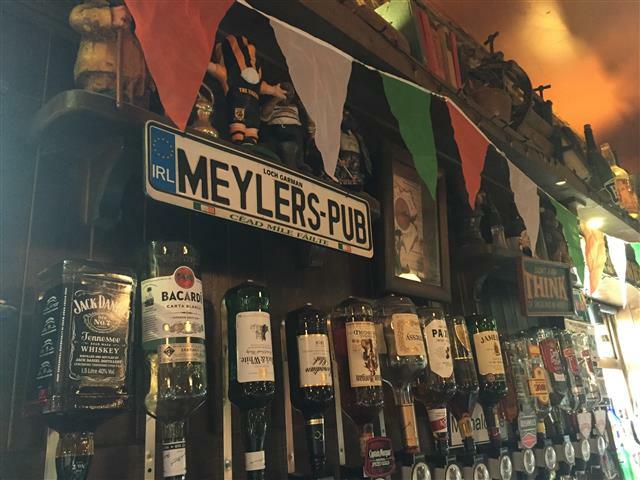 Whether it’s a quiet pint at the bar, a night out with pals, grabbing a bite to eat or celebrating that special occasion, we here at Meyler’s aim to make that experience the best it can be. We hope you enjoy your time at the Millhouse Bar & Restaurant and we look forward to seeing you back again. Whether you are alone or with a group, you will always feel welcome in the Millhouse Bar. Renowned locally for our tasty food and an excellent pint, there is always a friendly and lively atmosphere in our cosy Pub. Sit yourself down by the stove and wile away the hours chatting with friends amid the traditional decor. Sip on a pint at the bar, and enjoy the craic with the friendly staff and your fellow patrons or have a game of pool or darts in our pool room. Frequented by locals and tourists alike, there’s always a good mixture of new and familiar faces to be seen. With regular live music and entertainment, there really is something for everyone. Thinking of throwing a party, why not give us a call. We regularly host functions for all types of events here at the Millhouse Bar & Restaurant. We also offer a home catering service. If you are thinking of organising a party at home, give us a call, we can do all the hard work, so you can relax and enjoy a stress-free party. Food is served in the Restaurant or bar. The same menu is available in both, including our Asian Street Food Menu. We offer a varied menu to suit all tastes. Wherever possible food is locally sourced including fresh fish daily. 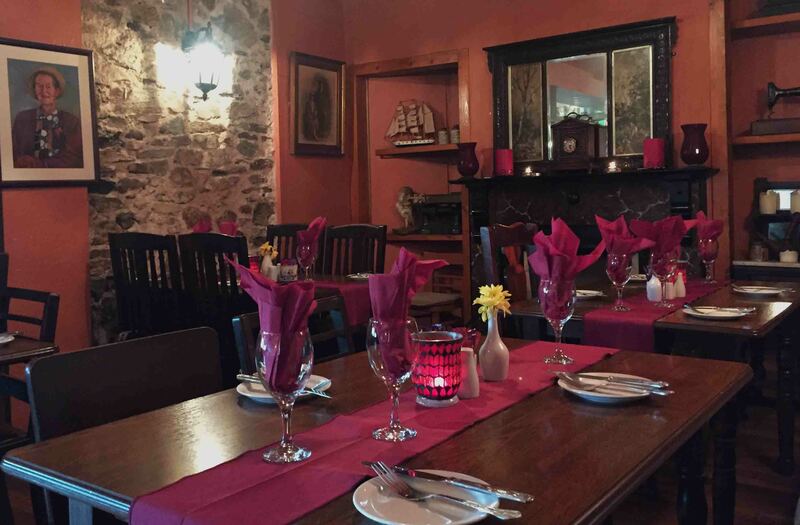 Starters include the Millhouse Deep Sea Chowder, Wexford Bay Mussels and a Kilmore Seafood Mornay. Mains include lemon sole goujons and a homemade seafood bake as well as our daily special. In addition to our fish dishes, there are chicken, beef and vegetarian options- sizzling stir-frys and a chicken curry. We recommend you try our “Gaelic Chicken” dish… a char-grilled chicken fillet resting on a creamy Irish whiskey and mushroom sauce. Delicious! All starters served with fresh homemade bread and crusty rolls. Prices start at €4.50 for starters and €12.95 for main courses. 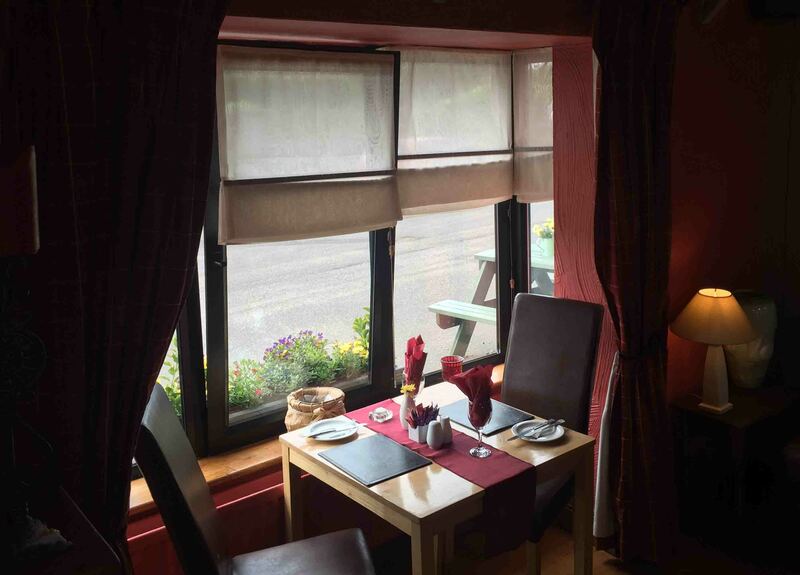 Our children’s menu is great value -just €7.95 for starter, main course, dessert & drink.